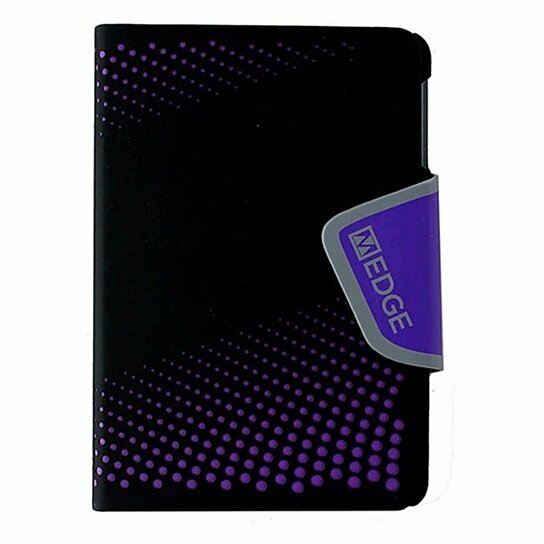 M-Edge Sneak Folio Case for iPad Mini - Black/Purple. Slim and lightweight with Magnetic closure to secure front cover. Patented MultiFit mounting system stretches to fit a wide range of tablets.